The ScotRail trains to be operated on the Borders Railway will be refurbished in line with units serving scenic Highland routes. CBR’s packed AGM in Gala on 6th November applauded the announcement by Mike Kean – UK Rail Development Director of Dutch company Abellio who take over the ScotRail franchise next May – that, in response to a request from Transport Scotland, the trains will be upgraded like units serving the Far North and Kyle lines. 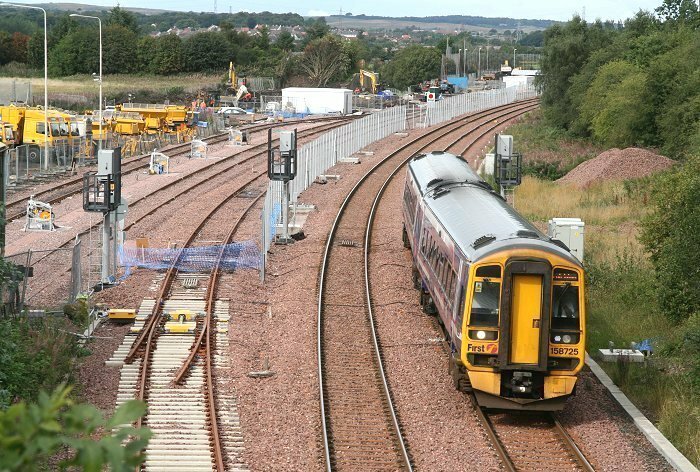 Although not all will be refurbished in time for the start of Borders Railway service, this is very welcome news, and represents another campaign success for CBR. The Inverness-based Class 158s have a spacious ambience, with good alignment of seats to windows, plus additional space for bikes and luggage.